In collaboration with the Detroit Symphony Orchestra, Wasserman Projects is excited to present a night of music set in the galleries. Inspired by Esther Shalev-Gerz’s exhibition “The Gold Room”, the program speaks to human migration and driving factors for leaving ones homeland through the works of Mendelssohn and Shostakovich who wrote during oppressed times and war. Please join us with Esther Shalev-Gerz and DSO Performers: Will Haapaniemi (violin), Heidi Han (violin), Han Zheng (viola), Jeremy Crosmer (cello). Please join us for a discussion with featured artists, Marela Zacarias and Sarah Meyohas as they share the inspiration and concepts behind their work. The talk will take place in the gallery, among the two exhibitions Zacarias’s “Coatlicue’s Return” and Meyohas’s “Speculations” with a film screening of Sarah Meyohas’s “Cloud of Petals” at 3:00pm. Discussion will begin at 4:00pm. 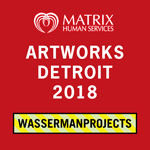 Wasserman Projects is honored to host this year’s 23rd annual Artworks Detroit benefit event on Thursday, September 13th at 6pm., presented by Matrix Human Services to raise funds for educating children, supporting families and rebuilding neighborhoods across Detroit. Join us for an exciting evening of live and silent auctions of donated artworks by renowned national and Detroit-area artists, delicious food from outstanding local restaurants, Live music, a fashion showcase curated by Walk Fashion Show, and much more! Wasserman Projects and The Consul of Italy Maria Manca invite you to a very special exhibition Sept. 6 & 7, 2018 presented in the context of the 2018 Giornata del Contemporaneo – Italian Contemporary Art and in collaboration with the Milan-based graphic agency Alkanoids. “Alchemica” will include 32 works developed with the technology of the augmented reality by a collective of Italian artists (illustrators, animators, sound designers). Presented for the first time in the United States, the exhibit will allow visitors to experience augmented reality through their cellphones starting from two-dimensional images. 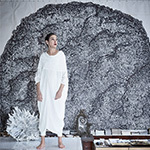 Please join us in welcoming back Michele Oka Doner on Thursday, May 3rd at 5pm. 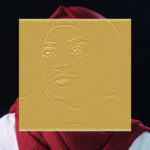 Oka Doner will give an artist talk, providing first hand insight to the influences and development of her practice as well as how her time in Detroit shaped her work. We will also be unveiling a special publication produced on the occasion of Michele Oka Doner’s exhibition “Fluent in the Language of Dreams” which includes Detroit legend, Marsha Music as a contributor. Following the artist talk, Marsha Music will read “Ode to Oka D” the featured poem inspired by Michele Oka Doner and her work. Books will be available for purchase with the opportunity to have them signed by the artist at the event. This event is free and open to the public. 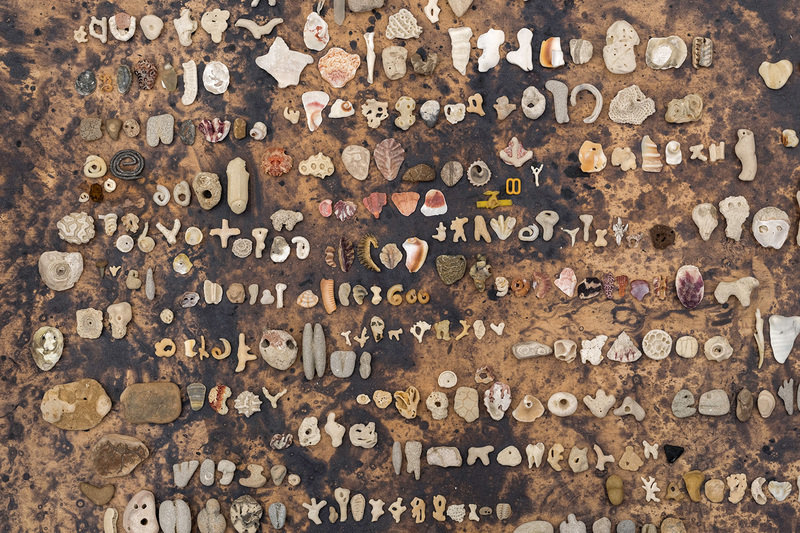 Wasserman Projects is excited to host a benefit for Dabls’ African Bead Museum in conjunction with the closing reception for our current exhibitions. Come celebrate collaboration, community, art, music, & culture in Detroit. This event is timed with a fundraising and awareness-building campaign for the African Bead Museum. Please join us for performances, live music, workshops, discussion, and more. The event is free & open to the public but registration is required! Donations can be made at registration, direct to campaign site, & at the event. Wasserman Projects is pleased to present a poetry reading by Marsha Music that will take place within the current exhibition “Homemade Ice Cream”. Described as a “Primordial Detroiter” Marsha’s experience shows through in her acclaimed essays, poetry, and narratives about Detroit’s past and future. Marsha will perform a new work of poetry that is inspired by themes present in Homemade Ice Cream. Groundbreaking jazz poet, John Sinclair, will perform his spoken word accompanied by legendary Detroit bluesman Jeff Grand. This event is free and open to the public. Dante Alighieri Society brings Ann Goldstein, to speak about Elena Ferrante’s Neapolitan Novels which she translated between 2011 – 2015. The novels tell the story, in sometimes excruciating psychological detail, of the sixty-year friendship between two girls from a crumbling, violent neighborhood on the outskirts of Naples. Wasserman Projects is pleased to present Jason Yates in conversation with LA based writer and art critic, Bruce Hainley, and Detroit based artist, Patrick Hill. In addition to discussing the artist’s personal practice, the conversation will explore themes surrounding Yates’ current exhibition at Wasserman Projects, Homemade Ice Cream. This event will be held in the gallery and is free and open to the public. In partnership with University of Michigan Penny Stamps School of Art and Design, Wasserman Projects will be presenting an exclusive performance by Penny Arcade. 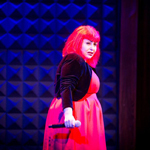 Internationally respected as a performance artist, actress, poet, and theater maker, Arcade’s work is a cultural critique on class, race, and identity. She is an original member of New York’s seminal rock and roll, political theater The Playhouse of the Ridiculous and was a teenage superstar in Andy Warhol’s Factory. This event is free and open to the public. 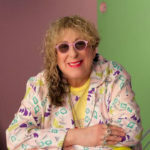 Join us for a special event with Detroit legend, Allee Willis, a Grammy, Emmy, Tony and Webby award-winning and nominated songwriter, performer, visual artist, multimediaist, director, collector, social artist, and party thrower. 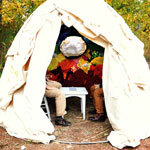 Willis will be performing from the front porch of Jason Yates’ installation featured in ‘Homemade Ice Cream’. The evening will celebrate our love of Detroit through storytelling, a sing-along, and good times! Event is free and open to the public but space is limited, register today! Visit Koen Vanmechelen’s Planetary Community Chickens in their current installation at Walkabout Farm in the presence of the artist. The evening will include a performance by The Jeremy Kittel Quartet – featuring Kittel on fiddle, Josh Pinkham on mandolin, Nathaniel Smith on cello and Simon Chrisman on hammered dulcimer. The quartet blends traditional roots, jazz, Celtic and classical styles. Doors at 6:00 PM, concert at 7:00 PM. Join Artists Shane Darwent + Sophie Eisner, Curator Alison Wong, and Moderator Trisha Holt for a panel discussion about the ongoing collaboration between Butter Projects + Wasserman Projects, the concept for Have+Hold, and development of selected works. Closing Reception to follow from 6:00 – 8:00 PM. Free and open to the public. 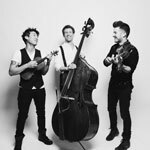 Known for their unique style that blends elements of classical, country western, gypsy, and jazz, groundbreaking trio, Time for Three (Tf3) brings a high-energy performance to Wasserman Projects. Performance is presented in partnership with The League of American Orchestras, Park Avenue Artists, and Detroit Symphony Orchestra. Limited seating, reserve your ticket today. James Leonard will be bringing the Tent of Casually Observed Phenologies to Wasserman Projects March 24-25, 2017. The Tent of Casually Observed Phenologies is an interactive contemporary artwork that invites participants to contemplate nature and the future of the planet through divination readings. The artist will offer free, private, climate change readings inside the tent March Friday 4-7PM and Saturday 11AM-3PM, with an artist talk to follow..
Wasserman Projects and The Michigan Opera Theatre invite you to join composer David Dichiera for a live performance of selected original works to be featured on the Legacy Recording. 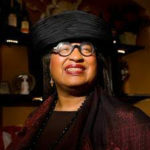 DiChiera founded Michigan Opera Theatre in 1971 with a mission to create a world-class opera company that served and represented the diverse community where it resided. His priorities included championing artists of color, mentoring the next generation of opera singers, and supporting Detroit’s revitalization. 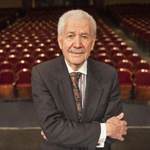 After many years of dedicated service to the opera theatre, DiChiera will now move on to become the MOT Artistic Director Emeritus. Featuring Angela Theis (soprano), Briana Elyse Hunter (mezzo soprano), Yury Revich (violin), Aleksey Shadrin (cello), Ivan Moshchuk (piano). In lieu of a ticketing fee, we invite you to contribute to the DiChiera Legacy Recording Fund at Michigan Opera Theatre. Wasserman Projects will host an intimate concert with performances by both Rebecca Foon and Jesse Paris Smith, Thursday March 2nd, 2017. This concert will take place in the gallery among the current exhibition “After Industry”. 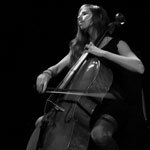 Cellist and composer Rebecca Foon has been a fixture of the Montréal music community for two decades, since moving to the city from her native Vancouver in the late 1990s. She co-founded the Juno Awardwinning contemporary chamber group Esmerine in 2002 and was a core member of the celebrated cult post-punk band Thee Silver Mt. Zion Memorial Orchestra from 2001-2008 and the experimental instrumental collective Set Fire To Flames. Foon is a dedicated climate activist, and her passion for climate justice is a focal point of A Common Truth, the artist’s upcoming solo album (to be released March 31, 2017). 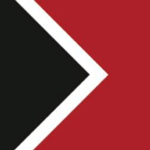 For more info about Saltland click here. Jesse Paris Smith is a composer, instrumentalist, activist, producer, and co-founder of Pathway to Paris, a fundraising initiative and multi media event series focused on bringing awareness to climate change. She has performed globally in many configurations, collaborating with other musicians and artists, including Soundwalk Collective, Tenzin Choegyal, Tree Laboratory, Shyam Nepali, Raju Lamag, her brother Jackson Smith, and mother, Patti Smith. For more info about Jesse Paris Smith click here. 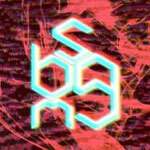 Wasserman Projects is pleased to host Creative Many’s Critical Context Summit. This event will engage local, national and international presenters in panel conversations focused on the relationships between artists and those representing, presenting, commissioning and contextualizing their work. Creative Many is a statewide organization that develops creative people, creative places and the creative economy for a competitive Michigan through research, advocacy, professional practice and communications. 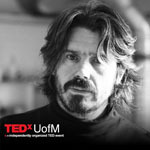 Koen Vanmechelen will be speaking at this year’s TEDxUofM event at the University of Michigan’s Power Center for the Performing Arts. The TEDxUofM conference showcases many of the most fascinating University-affiliated thinkers and doers for a stimulating day of presentations, entertainment, art, and discussion. This year’s theme of the conference “Dreamers and Disruptors”, unifies speakers of different disciplines to share their discoveries and ideas with the audience. 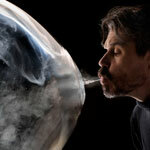 Join us for an artist talk with Koen Vanmechelen, whose recent exhibition Energy/Mass was featured in the New York Times. 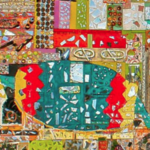 Koen Vanmechelen believes that art is a vital aspect of society and core to creating vibrant and healthy communities. 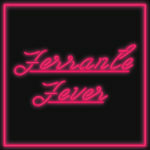 His wide-ranging creative practice marries exceptional artistry, technological experimentation, and scientific research. Internationally renowned, Vanmechelen is best known from his ongoing Cosmopolitan Chicken Project (CCP), which he first launched in 1999 to explore cultural and biological diversity. 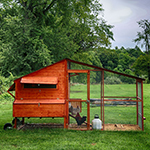 A crossbreeding program-through which the artist breeds chickens from around the world-CCP fosters a dialogue on national identity and the interdependence of different cultures, species, and the environment. Wasserman Projects artist, Michael Scoggins will be featured at Exchange Rates in collaboration with Butter Projects and their artists – Bridget Frances Quinn and Millee Tibbs. 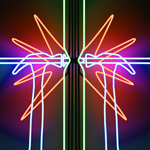 Exchange rates is an international exposition of artworks and curitorial programs in which host spaces in one art community open their doors and share their walls with visiting galleries. The exhibition space is located at ArtHelix 289 Meserole St. Brooklyn, NY 11206. Join authors Julian English and Natasha Moulton-Levy as they launch their book “No Limits No Boundaries: My Journey through the ABC’s!” Julian English, is a preemie, special education student, athlete and now author at 12 years old. After surviving brain bleeds at birth, reading does not come easily for Julian. 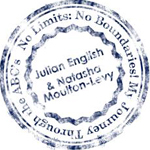 In No Limits, No Boundaries, Julian and co-author, his mom Natasha, take you along their journey, internationally and domestically, as Julian tackles his ABC’s with the help of family and friends. Wasserman Projects will host New Music Detroit’s annual contemporary music marathon. 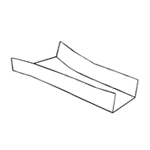 The avant-garde production features experimental and far-reaching sounds ranging from contemporary chamber music and European folk to experimental electronics and noise improvisation. Esther Shalev-Gerz returns to Wasserman Projects Saturday June 18th to give an artist talk at the gallery. 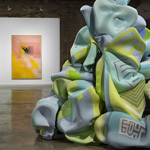 The artist will discuss select works from her current exhibition at Wasserman Projects, ‘Space Between Time’. The exhibition features eight major artworks spanning three decades of Shalev-Gerz’s career in photography, video, sound, and sculpture, including the debut of two new works. Wasserman Projects will partner with The Great Lakes Chamber Music Festival to present a dynamic musical performance at the gallery. The strolling performance will transform and reinvent British folksongs, through the different imaginations of a traditional folk singer, a cello/piano duo, a jazz ensemble and an electronic musician. The concert will be accompanied by a reception. Join us for an artist talk with Esther Shalev-Gerz sponsored by University of Michigan Stamps School of Art & Design. In anticipation of her solo exhibition “Space Between Time” at Wasserman Projects in Detroit’s Eastern Market, Shalev-Gerz will speak about her work in photography, video, sound, and sculpture. Constantly inquiring into transitional qualities of time and space and the correlative transformation of identities, locales and (hi)stories Esther Shalev-Gerz has produced a body of work that simultaneously records, critiques, and contributes to our understandings of the societal roles and value of artistic practice. 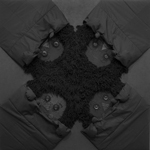 The works unfold histories and cultural identities by opening dialogues with people whose testimonies elaborate on portraits of their individual and collective memories, desires, opinions and experiences amidst the construction of time. Wednesday, April 27, 2016, 5pm. Art & Architecture Bldg 2000 Bonisteel Blvd. Ann Arbor MI, 48109, Room #2104. 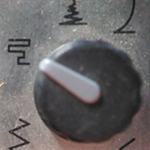 Wasserman Projects is pleased to host Critical Connections – a Creative Many Mini Summit. 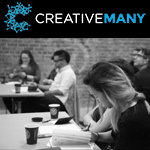 Creative Many is a statewide organization that develops creative people, creative places and the creative economy for a competitive Michigan through research, advocacy, professional practice and communications. This culminating session will engage local, national and international presenters in three panel conversations focused on the relationships between artists and those representing, presenting, publishing, and collecting their work. 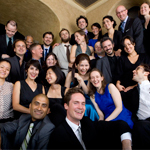 Please join us for an exclusive performance by New York orchestral collective, The Knights. The 60 minute program will include music from sources as diverse as Armenia to Appalachia to Sicily and spans from the 17th century to present, including works written and arranged by members of The Knights. Jeffrey Sturges and Aaron Blendowski of Uno Nix, a collaborative group that creates tools and environments that are both created by and affect our many human inputs and outputs. 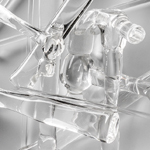 At Wasserman Projects, for one night only, Uno Nix will present an immersive light and sound experience. 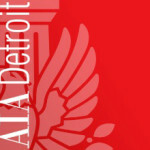 AIA Detroit’s Emerging Professionals Committee and Haworth will be hosting a collaborative panel event on how millennials are reshaping the workplace and altering the status quo. Join us at Wasserman Projects for a moderated discussion with both Millennials and Industry Veterans. Please join us for an interactive, public concert event held inside Jon Brumit’s sonorous grain silo, “Elf Waves”. 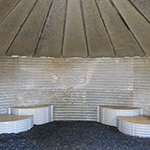 In addition to a live performance from Jon Brumit, guests are encouraged to engage with the work by bringing their ipods, mp3 players, or phones to plug into the silo. Stop in during Art Detroit Now’s Fall Gallery Crawl Come to experience the exhibition and stay to indulge in sweets from Rocky’s and bubbles from Cost Plus Wine! Click for more participating venues.